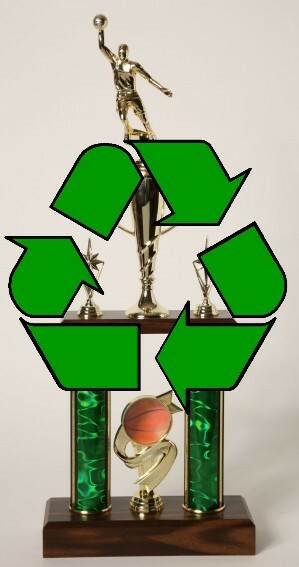 Recently, we started a trophy recycling program to help find new homes for your very old trophies so that they avoid the landfill. We will either donate matching sets to charities in need or break the trophies down for parts. These parts will go on to other trophy winners. Please send us an email before sending us your old trophies. We also accept old plaques, sculptures, and medals. You are responsible for any expenses related to shipping the old items here. Please include recycling in your subject line.